S & J Biren Floor Coverings was opened in 1948 by two brothers, Samuel and John Biren, who relocated to Los Angeles from Minneapolis after having served in the Army Air Corps in World War II. The brothers were looking to go into business together and decided on floor coverings, opening their small storefront on Pico Boulevard in West Los Angeles. Within two years they moved to larger quarters where the store has remained a fixture in the community for over 60 years. Doing everything from tract homes in the early years, to entire office buildings and other prestigious commercial installations, S & J Biren serves the general public and also does extensive work with the architect and design community. The store offers flooring for both residential and commercial projects to serve all budgets, including, but not limited to, a focus on high end residential projects. S & J Biren’s goal has always been to provide outstanding expertise, unparalleled quality, and professionalism, as well as offering one of the widest product selections in the city. The staff is trained to find a solution for every customer’s needs. The tradition started by Sam and John Biren continues today in the second generation with Evan and Eric Biren, the sons of Sam and John respectively, taking the helm. John Biren continued to come in every morning into his early 90’s to offer his experience and wisdom to the staff at S & J Biren. Regrettably he passed away in January 2014, just shy of his 94th Birthday. He was a pillar in the industry and community and will be sorely missed. Flooring Pro specializes in flooring installation. .Our dynamic team of expert installers are trained to install hardwood floors, laminate, tile, 100% waterproof vinyl and carpeted floors. Flooring Pro is a full service, highly skilled company that takes pride in the quality of work, reliability, integrity and our client’s satisfaction. We offer Free estimates with next day installation! *Authorized Bona Flooring Dealer* Mike Pillar and Sons is a family owned and operated business providing over 35 years of "old fashioned" to modern services to the West Los Angeles, San Fernando Valley and Ventura County areas. We promise the personal attention and service that each customer deserves. You can always call the office and speak to Wendy Pillar, who can help answer any questions that you may have. We Specialize in Sales and Installation of: Flooring: Hardwood Flooring, Laminate Flooring, Carpet, Carpet Tiles, Tile, LVT & LVP Window Coverings: Shutters, Roller and Solar Shades, Honeycomb Shades, Roman Shades and horizontal and vertical blinds. Start your flooring journey by visiting one of our Showrooms AND receive a complimentary consultation! For over 80 years, Galleher has provided service to the top residential and commercial flooring contractors, retailers and designers. Our showrooms in San Francisco, San Jose or San Diego are one of few showrooms dedicated to flooring. They provide an unparalleled opportunity to view inspirational large format displays of the diverse range of premier quality flooring we offer. Galleher LLC is a leading manufacturer and distributor of hard surface flooring and accessories, including Monarch Plank®, Reward® Flooring, GemCore®, Royal Custom Plank & Parquet®, and others. Purveyors of fine flooring since 1937. For more information, please visit us at Galleher.com or call (800) 448-9663. Coastal Wood Flooring & Supplies Inc. Designer - Michael Charles “The Celebrity Choice of Flooring Consultants” A well deserving, highly favored and blessed specialist “I am who God says I AM.” His Masterpiece: Let Us take your Business to The Highest Level. We ship throughout The United States and abroad. Why would you want to work with us? Globality...! We work with 3000 plus Designers all over the World. We engage with the World’s most exotic species for all surface installations. A studio where Architects and Interior Designers come from all over this fine Planet. Founder Michael Charles is renowned for venturing into uncharted territory. He travels throughout the world, bringing Home top quality woods. He produces your design and delivery F.O.B Los Angeles, California., with commitment to bringing the best value to your Business and Clientele. CBS TV Network RATED #1 producing hardwood over 30 years and still strongly growing… “No grain will break under our careful attention to your detail… Testimonials: “Rated the highest level for client satisfaction by the Houzz community. 9350 Wilshire Blvd Beverly Hills Ca 90212.” Nancy Logan – “I purchased from EFA Designs Flooring Consultant and absolutely love them. The product was made incredibly well - of the highest quality. I highly recommend Michael Charles, He is a very kind Professional and patient to do business with.” Thank you, again Michael! As a tour force in the design industry, EFA Designs Flooring Consultant has become a trend incubator – a studio where iconic architects and interior designers come from all over the world to seek versatile, cutting-edge materials. With an unyielding passion to search for the world’s most exciting surfaces, founder Michael Charles is renowned for venturing into uncharted territory with new colors, textures and effects and striking a balance between supreme quality and dazzling aesthetic. EFA Designs Flooring Consultant has received acclaim in the design community for understanding the vital role that innovative surfaces play in defining truly unique spaces. 3X Best of Houzz Award Winner! Rite-Loom is Southern California's premier flooring company, an industry leader for 85 years (starting in 1934). Rite-Loom has earned the reputation of being one of the most highly respected flooring businesses on the west coast. From high-end commercial projects to residential jobs of every size and scope, Rite-Loom's experienced staff of designers and installers have the skills and knowledge to take your dreams and make them reality. Rite-Loom can take care of any interior construction project from start to finish. Their 4 experienced designers will help you with everything from space planning, to picking colors, to finding the right window treatment. They can even help you find the right fabric for your sofa. They also specialize in Bathroom and Kitchen remodeling. 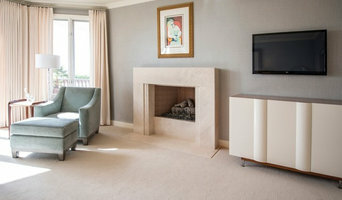 Rite-Loom can also fabricate granite and stone. No project is too big or too small for Rite-Loom. We have a staff of Interior Designers who can help with every step of the process, from picking paint colors, to selecting the right window treatment and making sure the installation goes smoothly. We are focused on customer service and making sure that we go above and beyond on every project. The Finishing Touch Floors Inc.
*Authorized Mohawk Dealer* We are a family own business in activity for over 35 years. Located in Southern California, we have 3 flooring stores in Los Alamitos, Costa Mesa and Laguna Hills. Our expert staff is ready and willing to install your purchase at your residential or commercial location, with the high level of efficiency that you should come to expect from qualified professionals like us. We have the integrity and dedication to accomplish our job correctly, the first time we set out to do it. Here at our store, we understand how intimidating it can be to look for somebody to make improvements upon your home, especially if you have a limited knowledge of what you’d like to improve. If you have any questions about what we’re willing to provide, then please don’t hesitate to consult with one of our friendly, dependable employees, or to browse through our inventory at our convenient location. We have access to Royalty carpet, Camelot carpet, Moda carpet, Fabrica, Nourison, Stanton, Kane, Fibreworks, Tuftex, Shaw carpet, J Mish, Bolan, Beaulieu, Royal Dutch, DuChateau, Provenza, Reward Hardwood, Hommer Wood, California Clasics, Lauzon, Kahrs, Catalina Home, ETC... We have 3 location in Orange County. 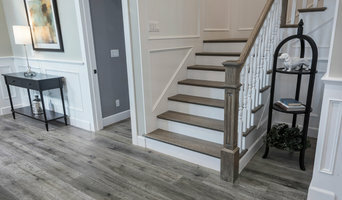 Meridian Hardwood takes pride in representing quality manufacturer and materials to ensure every customer receives the highest quality of wood flooring. In addition to providing quality products with great value, Meridian Hardwood also pledges to deliver the highest level of customer service. The goal of the experienced team members is to ensure every client walks away with great satisfaction in their purchases. Old Town Flooring is your complete source for flooring, countertops, showers & more. We have high-quality, unique, affordable products, and will help you with your design as well as installation. For over 35 years, Pat's Discount Carpet & Flooring, Inc. has offered the very best flooring products to Southern California residents. 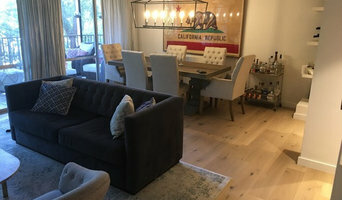 Our family-owned and operated company has gained a solid reputation as the ideal place to have one's flooring needs accommodated, as we offer the highest quality products at a discount price. From carpet to hardwood, laminate to tile, luxury vinyl to area rugs, we have you and your floors covered with popular brand name products like Stainmaster, Karastan, Shaw, Tuftex, Mohawk, Royalty, Anderson, Wilsonart, Amstrong, and many more. We built our reputation in residential and commercial flooring products and installation, and our RV division, known as Route 66 RV, is the foremost authority for flooring replacement in motorhomes and trailers. We have our own installers, all licensed, bonded, and insured, and with a warehouse stocked full of carpet and flooring, we offer many great products at discounted prices, far below retail. Give us a call or e-mail us today! Welcome to New York Carpets & Flooring, where we provide you with quality service, low prices, and huge in-stock selection. Serving Southern California since 1981, New York Carpets & Flooring is one of Orange County’s largest flooring retailers. We are open to the public every day, providing you with 1st, 2nd, & closeouts at discount prices. Why buy from New York Carpets & Flooring? - Orange County’s largest stocking flooring distributor - Offers discount prices - Hundreds of colors, styles, & qualities to chose from - Huge in-stock inventory - Installation available within 72 hours on all carpet in stock - Family owned & operated for over 28 years - Convenient location on Orange County’s famous tile mile Why buy from an outlet store? If you need carpet or flooring quick, an outlet store is just what you need. Outlet stores acquire manufacturer’s closeout, promotion, off color or defective merchandise, as well as first quality items in very large quantities. Since outlet stores stock large amounts of inventory, you can find exactly what you are looking for. Outlet stores provide much lower prices than retail or discount store prices. These outlets usually have a huge selection of samples offering shoppers an even larger assortment of carpet and flooring in the finest quality in a wide array of options. With the size of the in-house inventory, you’ll probably find just what you are looking for, and with all the options under one roof, your biggest problem will be deciding. New York Carpets & Flooring has 45,000 square feet of warehouse merchandise to choose from, and is the largest outlet store around. We were honored in the Orange County Register as one of the best places to buy carpet and flooring! Check out our showroom gallery to see our 40,000 sq. ft. facility filled with flooring!